Through Rotary's service programs, a Rotary club can have a significant effect on the quality of life in its community. Rotary Foundation programs offer opportunities to form international partnerships that help people in need worldwide. Some 1.2 million Rotarians in 30,000 clubs in more than 160 countries make significant contributions to the quality of life at home and around the globe. 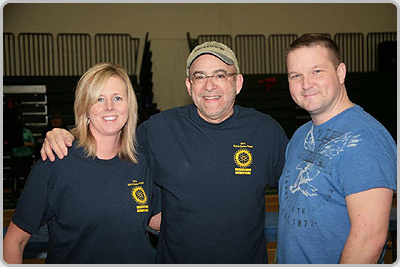 Rotary club membership carries with it certain responsibilities. Members are expected to attend weekly programs of the club. Opportunities to make up attendance include attending the regular meeting of another Rotary club, attending various other Rotary meetings, or attending a club service project authorized by the club board of directors. 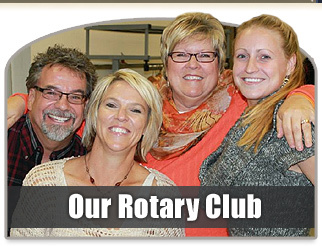 Members are required to pay annual dues to their clubs, their districts, and to Rotary International. 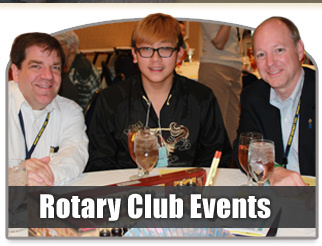 Members are expected to participate in local or international activities or projects of the Rotary club. Clubs encourage members to aspire to leadership or committee roles within their clubs. We would welcome you to attend one of our club meetings prior to completing the online application. If you are new to our area, please introduce yourself to our greeter and they will get a club officer to welcome you during your visit. 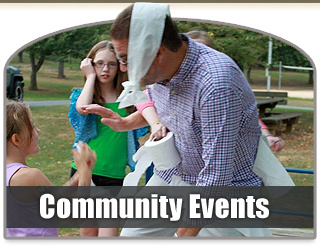 We meet Wednesdays at noon in the Fountain Head Country Club. No club applications can be considered without a member sponsor.